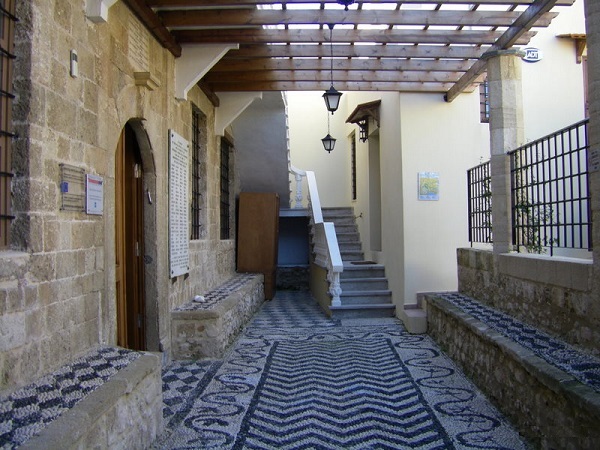 Among the thousands of tourists visiting Rhodes every year, some are not drawn only by the beauties and the archeological sites of the island. 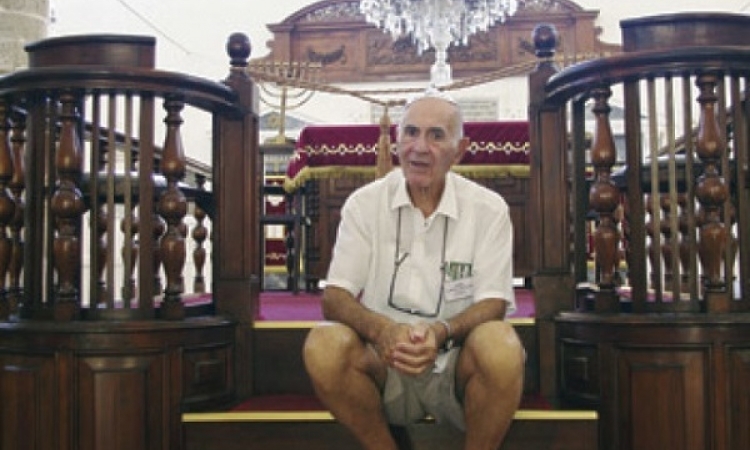 For them it is a homecoming, a pilgrimage to the Juderia, where the Jews of Rhodes lived until they were sent to Auschwitz in 1944. There has always been a special bond between the “Rhodeslis”. Wherever they went, they stayed together. Their communities are found in Africa, South America and the US. Whatever it is that unites them, also drives them to return every year to the island for family functions, events, and memorial services that mark their deportation, or just to be together for a few days. 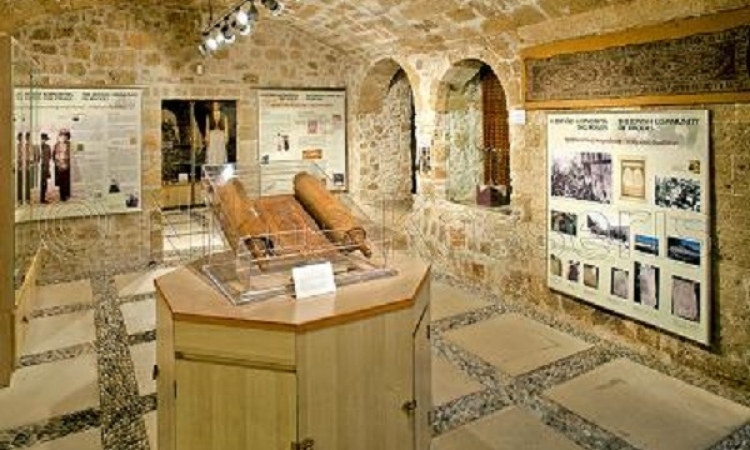 It is accepted that a Jewish community existed on Rhodes since the first century BCE. They are also mentioned around 650 CE, when the Arabs sold the remains of the Colossus to a Jew (90 camel loads of precious bronze). In 1170, Benjamin of Tudela on his journey from the Iberian Peninsula to the Holy Land, reports he found a community of 500 Jews in Rhodes. 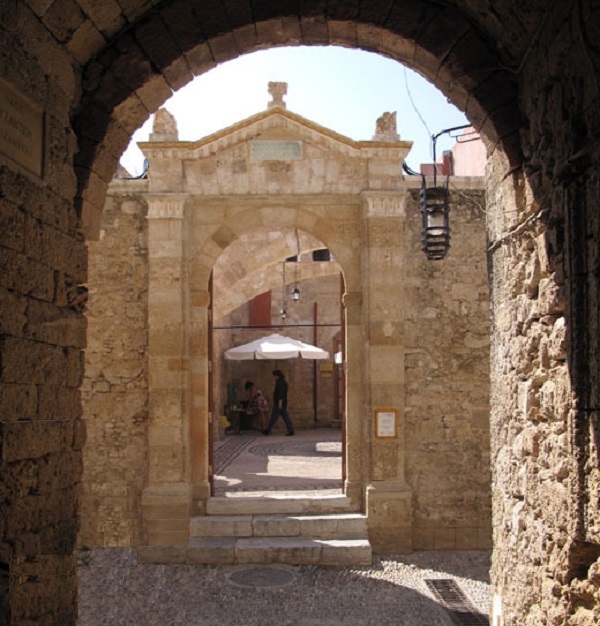 A number of Jews having to go into exile from Aragon during the 1280 persecutions went to Rhodes, still under Arab rule. The Knights of the Order of St. John, driven away from the Holy Land landed in Rhodes in 1309. 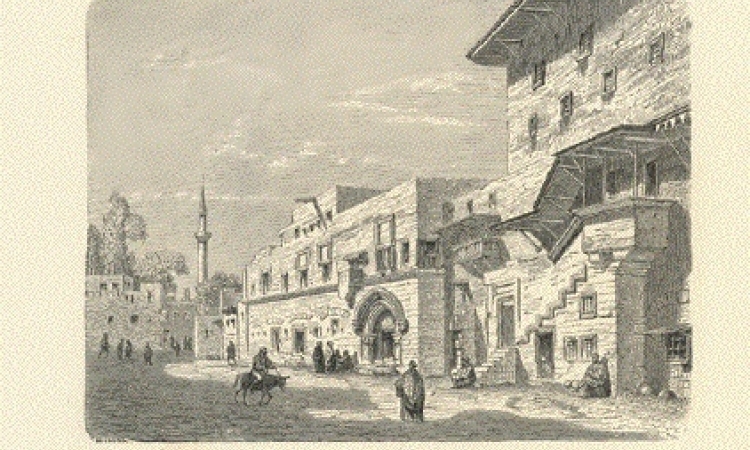 During the first major Ottoman attack in 1480, the Juderia, the Jewish quarter of the walled city, being near the harbor, was heavily bombarded by the Turks. The attackers broke through the wall, destroyed most of the Jews’ homes, but were eventually driven by the Knights back to Anatolia. This was thought to be a miracle. 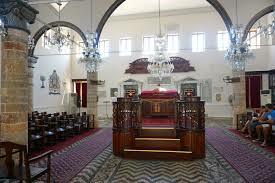 The Knights therefore built a church in the area and reconstructed the Synagogue, which had been destroyed by the Turks. 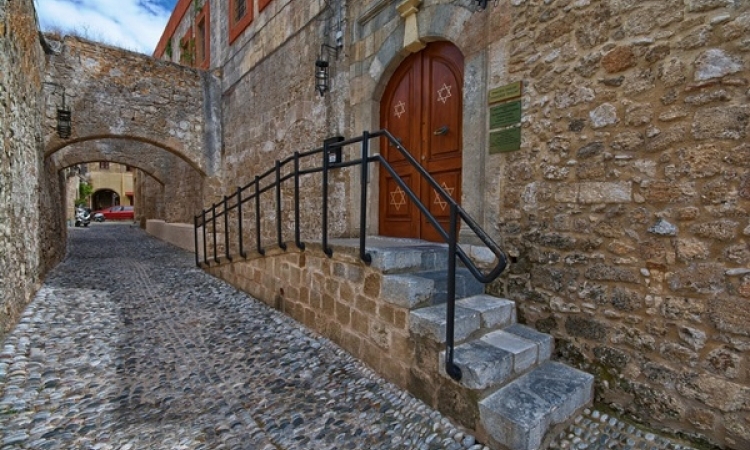 Again in 1492, a number of Jews arrived in Rhodes, after their expulsion from Spain . 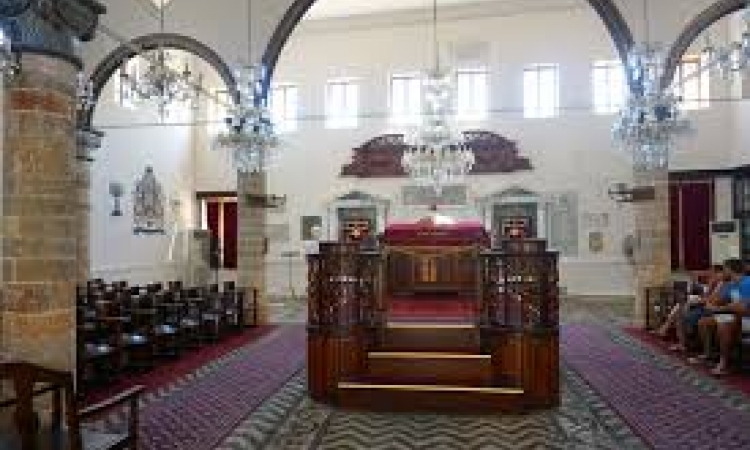 In 1502, the same Grand Master who had rebuilt the Great Synagogue, ordered all Jews to leave Rhodes in 40 days, unless they converted to Christianity. Most left and settled in Genoa and Salonica. 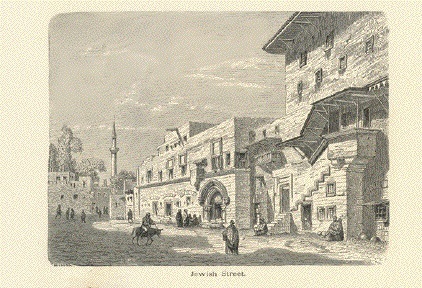 Rhodes suffered the second Ottoman attack in 1522. This time the Turks, under Suleiman the Magnificent, expelled the Knights and conquered the island. 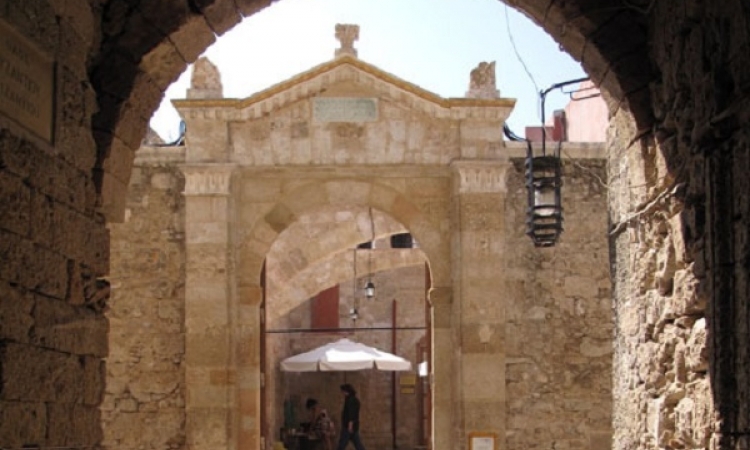 The number of Jews in the walled city had grown by the slaves brought here by the knights (almost 1.000) and the Sephardim that arrived from Constantinople and Salonika because of the sultan’s incentives. 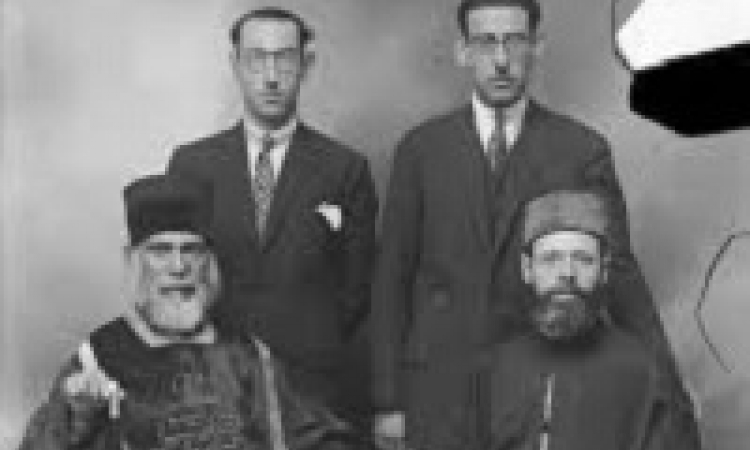 The Ladino language and the Sephardic customs arrived with them and were used until 1944. 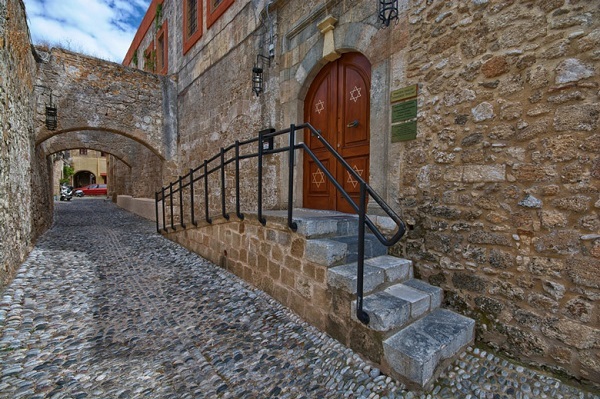 Greeks were forced by the Turks to abandon their homes in the walled city. 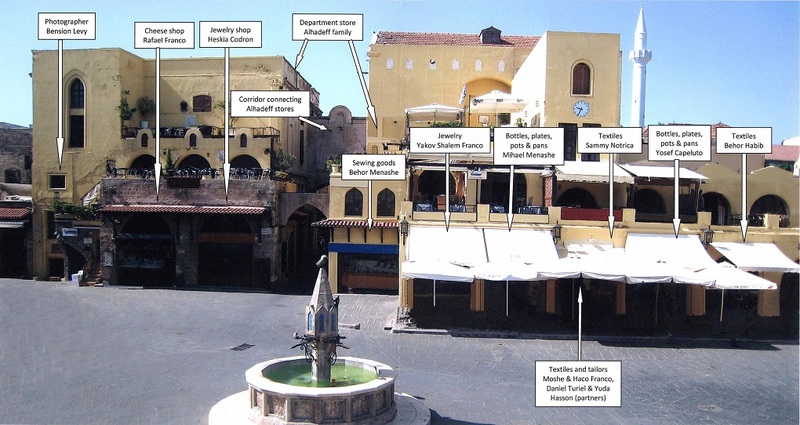 At the same time, Jews were allowed to remain in the Juderia, have their own court of justice and schools. 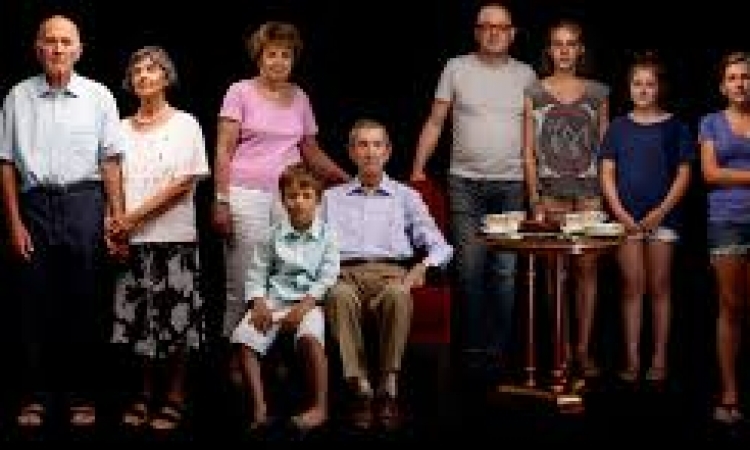 However, most Jewish families were poor, with only few being well off. Around 1890 some desperate and daring ones started leaving to continents and countries promising a better future for themselves and their families. One or more men from a family would leave first. Women and children would follow. 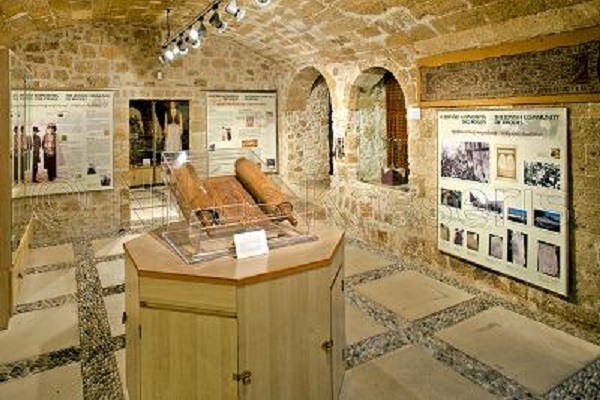 In 1912 Rhodes was occupied by the Italians, as a result of a war with Turkey and the Treaty of Lausanne. 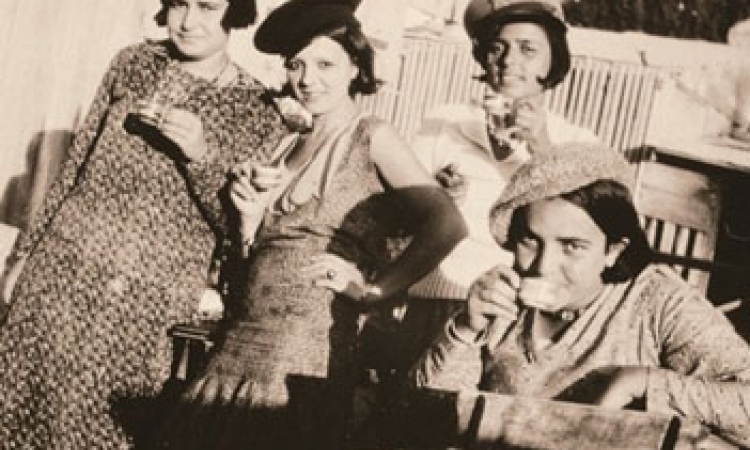 For a while, everything was fine for the 4.500 Jews of Rhodes. Their number was actually increased by Jews who moved here from Italy. Things changed in 1936, when Cesare Maria De Vecchi (Conte di Val Cismon, as he liked to be addressed) became Governor. Jews, Orthodox and Muslims were stripped from whatever rights they had. 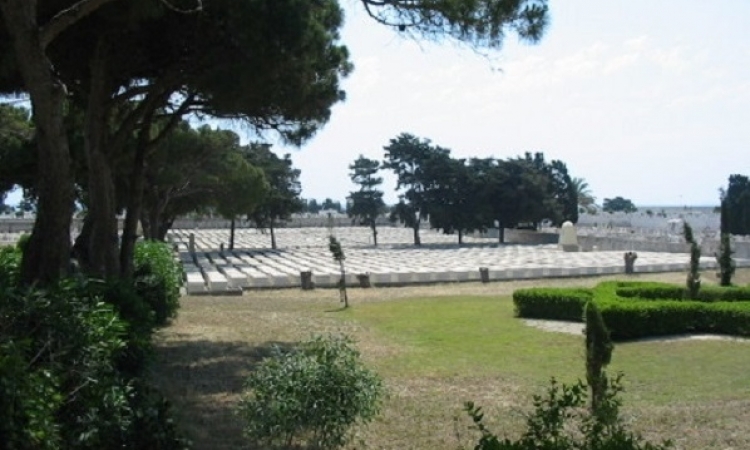 The Jewish cemetery was moved from where it had been for hundreds of years and 100 marble tombstones were taken by the fascist Count to be used for the building of his house. 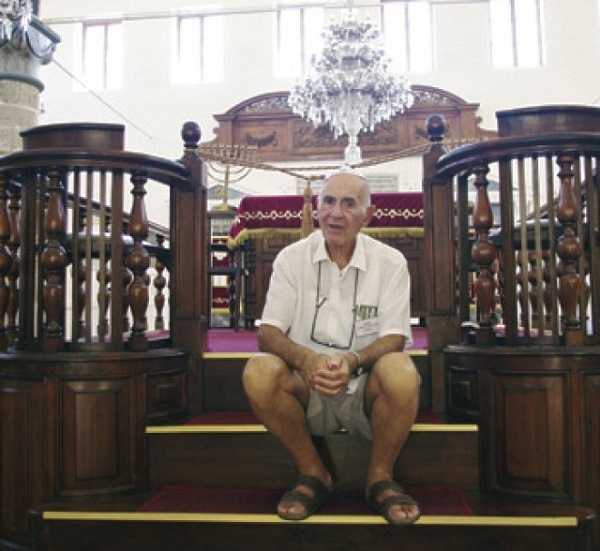 He prohibited kosher slaughtering, closed the rabbinical seminary founded in 1928, he even forced Jewish shopkeepers to keep their shops open on Saturdays and holy days. He also ordered all Jews who had obtained Italian citizenship after 1919 to leave Rhodes within six months. Those who left didn’t know they were actually escaping death. Towards the end of World War Two, because of the racial laws and poverty, most young men had gone. It was mostly women, children and the elderly that were still here. 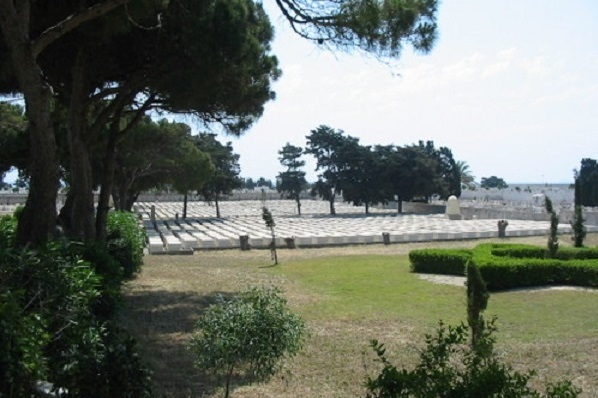 The Italians surrendered in 1943 and Rhodes was taken over by the Germans. Early in 1944, 34 Jews were killed in bombings by the Royal Air Force. On July 19 of the same year, the German authorities ordered all Jewish males older than 16 to report for work. Women and children were “allowed” to join them the next day, bringing with them their jewels and money. 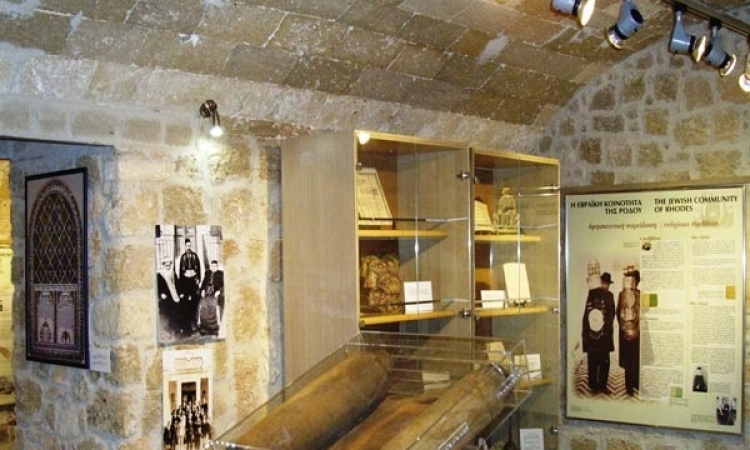 They were all kept in the building of the Italian Air Force Headquarters (now Tourist School) until July 23. On that day, 1.600 men, women and children were taken to the harbor and put into three barely afloat cargo boats. They had been told they were being taken to a “nearby island”. The Turkish consul Selahattin Ülkümen heroically saved 40 of them. Threatening with a diplomatic episode, he demanded by the German commanding officer General Kleeman not to deport those who had Turkish documents and their families. Ülkümen’s arrogance was not left unpunished by the Germans: soon after, his house was bombed and his pregnant wife was killed in the ruins. The news caused her mother’s suicide. He was taken to Greece, where he was kept by the Nazis until the end of the war. The 2.000-year old community had come to its end. When, after 8 days, the boats reached Piraeus, their “cargo” was loaded onto trains. After 13 terrible days, the ones still alive were in Auschwitz. One thousand two hundred of them were gassed immediately. A total of 30 men and 120 women lived to be freed at the end of the war. They went to relatives in Europe, Africa and America. Some went to Palestine. 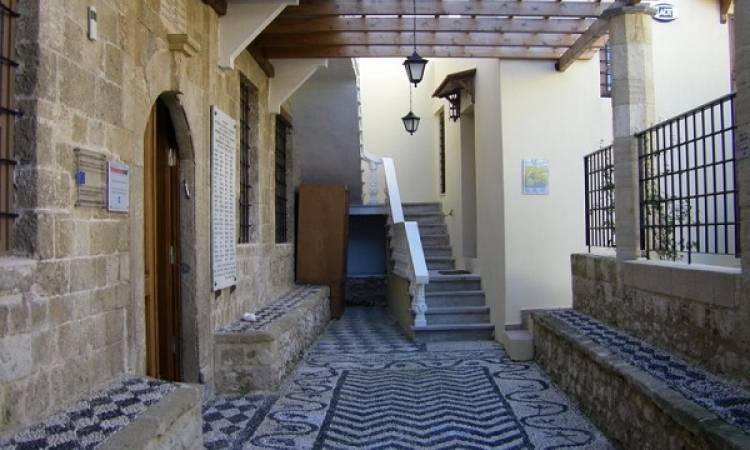 The community in Rhodes was never restored. 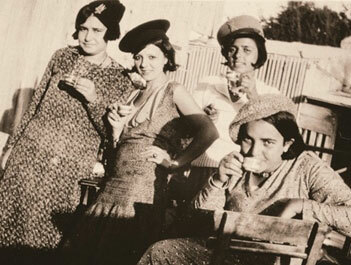 After the unification of Rhodes with Greece in 1948, some Jews came from the mainland. Approximately 30 of them have settled and live here now. 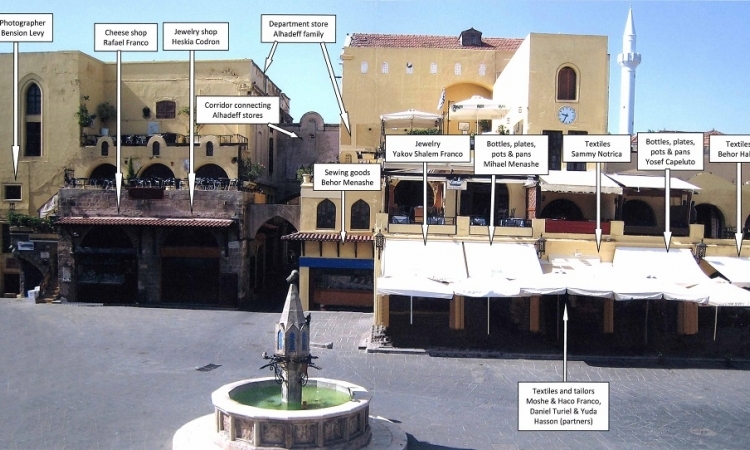 The main square of the Juderia was named by the local Greek authorities “Square of the Jewish Martyrs”. 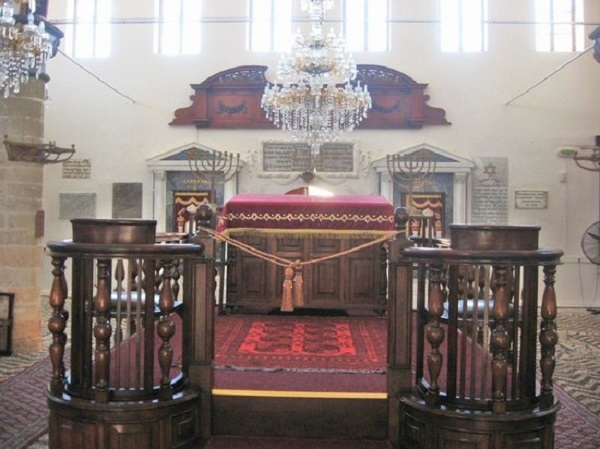 The Kahal Kadosh Shalom synagogue was built in 1577 and is the only remaining one. The names of those lost in the Holocaust can be seen on a plaque near its entrance. 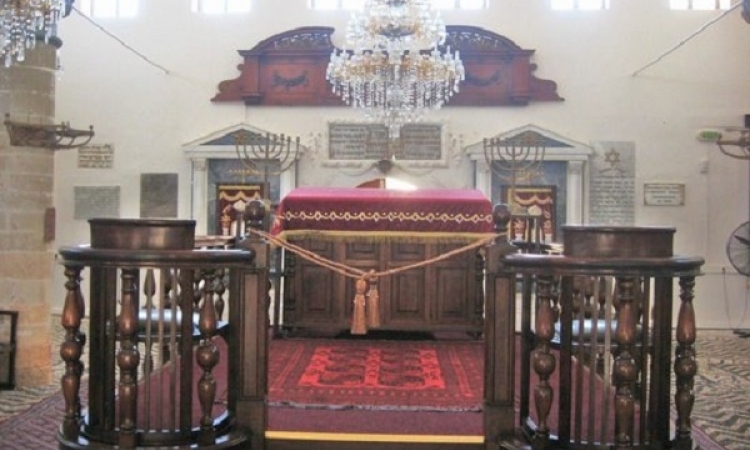 The synagogue and the museum next to it are open during the Summer months every day (except Saturdays). Survivors of the Holocaust spend their summers voluntarily guiding visitors and helping descendants locate their families’ homes and graves. 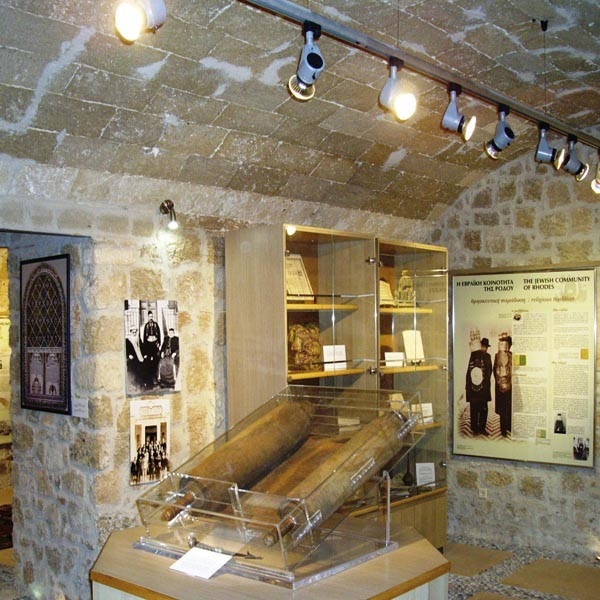 The Rhodes Jewish Museum maintains a very interesting and useful website (http://www.rhodesjewishmuseum.org/).